GIMA Ambulance Backpack, 40 cm L x 30 cm W x 57 cm H, Red, emergency, trauma, rescue, medical, first aid, nurse, paramedic multi pocket bag. 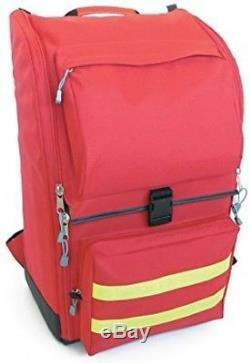 AMBULANCE RUCKSACK - polyester Dimensions: 40 x 30 x h 57 cm Colour: red Modular extra large rucksack provided with 8 internal pouches, 4 coloured with handle (model E5) and 4 coloured with transparent window (model E2). 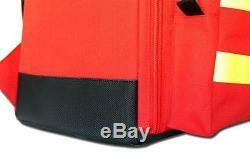 Velcro internal strips for pouches fixing. Provided with double yellow reflective strip. Provided with 8 internal colored pouches. 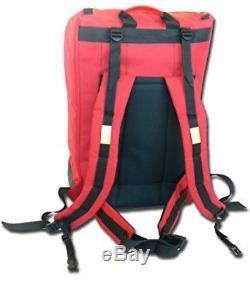 The item "GIMA Ambulance Backpack, 40 cm L X 30 cm W X 57 cm H, Red, Emergency, First" is in sale since Friday, July 6, 2018. This item is in the category "Business, Office & Industrial\Medical/Lab Equipment\Medical Equipment & Instruments\Emergency/EMT". The seller is "legmobil03" and is located in UK. This item can be shipped worldwide.